Calcium carbonate is the substance in swimming pools that cause water scaling on pool equipment and pool surfaces. What is Calcium Carbonate in pools? Calcium carbonate, also called soda ash, is a chemical compound found naturally in swimming pool water and is the driving force behind how soft or how hard swimming pool water is. In the natural world, calcium carbonate is found in rocks such as limestone, forms the main component of marine organism shells, egg shells, and pearls. In swimming pools, calcium carbonate is normally added during routine pool water maintenance to increase pH, increase calcium hardness, maintain total alkalinity, and offset the acidic properties of disinfecting agents like chlorine or bromine. 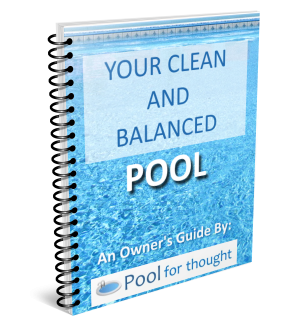 Swimming pools are considered balanced if they contain the correct level of total alkalinity, pH, and calcium hardness. Balanced water is neither scaling nor corrosive. The calcium carbonate level in swimming pools can be described as the average hardness of the pool water. The scale is basically the calcium carbonate which has already come out of its soluble form and then deposited itself on the pool surfaces. In case the level is too high, you can dilute the water through partial drainage of the pool and then replacing with a local and presumably less hard water source.